I found much to admire in the 2014 and 2013 Barbarescos I tasted during my most recent visit to the region this past August. The best 2014s and 2013s are exciting, thrilling wines that capture all the qualities that make Nebbiolo such a compelling grape. But far too often, the gap between the top estates and the rest is simply too wide for a region with the potential to make truly world-class wines. Two thousand fourteen will go down as one of the most unusual vintages in Piedmont and Italy. I spent a month in Piedmont during the early part of the summer. Most afternoons were punctuated by the sound of hail cannons in nearby Barbaresco being used to ward off hail. At the time, growers feared a repeat of 2002. On the afternoon of July 23 I was caught in a torrential downpour of near Biblical proportions at Ca’ del Baio that seemed to sum up the year up until then. Quite miraculously, the weather improved dramatically towards the end of the season. By then, the Dolcetto and Barbera had been too adversely affected to recover. 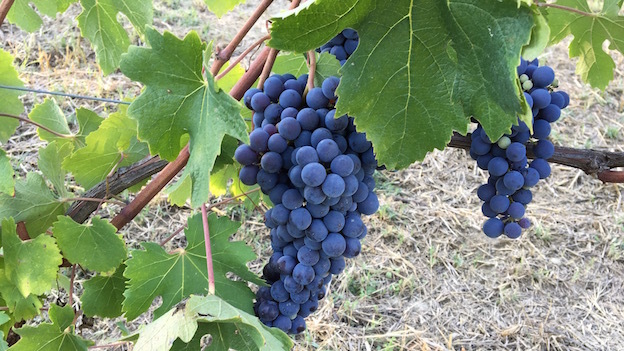 But Nebbiolo, which ripens later, was able take advantage of every last ray of sunshine and the dry weather that carried through to the harvest. Most growers I spoke with define 2014 as a year with an exceptionally long growing season that was created by an early flowering and late harvest. The last phase of ripening was marked by strong diurnal swings, which Nebbiolo loves for the development of color, aromatics and perfume. But 2014 was far from a cakewalk. Challenges earlier on in the season required constant intervention and more spraying against disease than normal. I have never seen a vintage in which nearly every vineyard was afflicted by peronospera (downy mildew). The only variable was the degree of peronospera, but it was everywhere. Many growers I visited also spoke of smaller berries within the clusters. Yields were down by around 30% across the board (in some cases more), but that may have been a blessing in disguise, as the vines ultimately carried a crop level they could ripen. The 2014 vintage has been maligned throughout much of Italy, but Barbaresco may very well turn out to be a bright spot. Even though there was quite a bit of rain, Barbaresco did not get the three hailstorms that wreaked havoc in Barolo. Even so, I expect to see quite a bit of variability when all of the 2014s are released because the gap between the top producers and the next levels down is quite wide and not all growers had the resources to do the work that was necessary in the vineyards. That said, the wines I have tasted so far, both from bottle and barrel, are exciting. The finest 2014 Barbarescos are bright and medium in body, with lively acidity, striking aromatics and tons of energy. It is a vintage that will especially appeal to classically leaning palates. Two thousand thirteen also produced its share of majestic wines. The growing season got off to a late start. That timing continued all the way through to the harvest. For most estates, the growing cycle as a whole was shorter in 2013 than 2014. Yields were within normal ranges, although I tasted a few 2013s that suggest perhaps yields were a bit high at some estates, something that I see too often in Barbaresco. The best 2013s are undoubtedly fabulous, although my overall impression is that there are too many underachieving producers in Barbaresco given the potential of the vineyards. 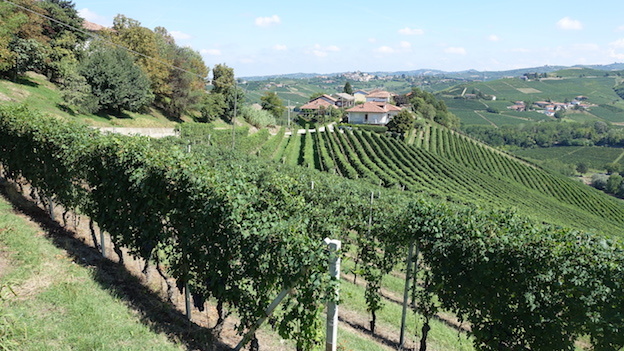 One of the frequent topics of discussions during my estate visits was the Gaja family’s decision to return to the Barbaresco appellation for their top single-vineyard wines. Producers in Barbaresco are ecstatic, as they think this will bring more prestige to the area. We will see. Angelo Gaja was way ahead of his time when he declassified his top Barbaresco (and Barolo) wines to Langhe Rosso with the 1996 vintage. Gaja knew that his brand carried more weight with the consumer than the appellations of his wines. Earlier this year, Gaja's children, Gaia, Rossana and Giovanni, chose a different course for the future. That should not be an excuse for complacency by other producers who think that things will come easier now. This is not the time to take the pedal off the gas, so to speak. Over the last several decades Barbaresco has seen a tremendous growth in small, artisan producers. But much work remains to be done. I tasted all the wines in this article in Piedmont in late August 2016. A few samples appeared to have been damaged by heat, so in those instances I have chosen not to publish reviews until I can taste the wines again.